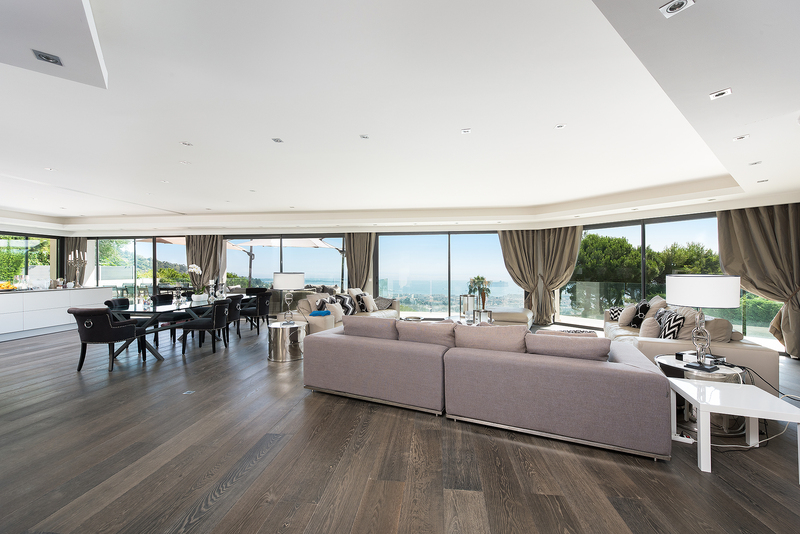 CAR1138 is a luxury contemporary villa. 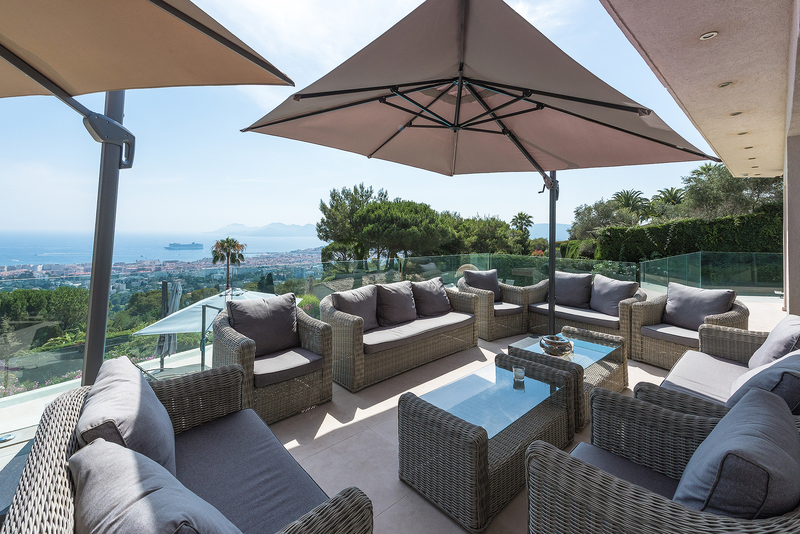 The property boasts 400sqm of land with an amazing panoramic view over the beautiful blue bay of Cannes. The villa is composed of a large entrance with guests toilets, living area of 170sqm, large open kitchen, fully equipped, office area, dining room for 8 guests with a stunning sea view, equipped living room with large flat screen, international channels. 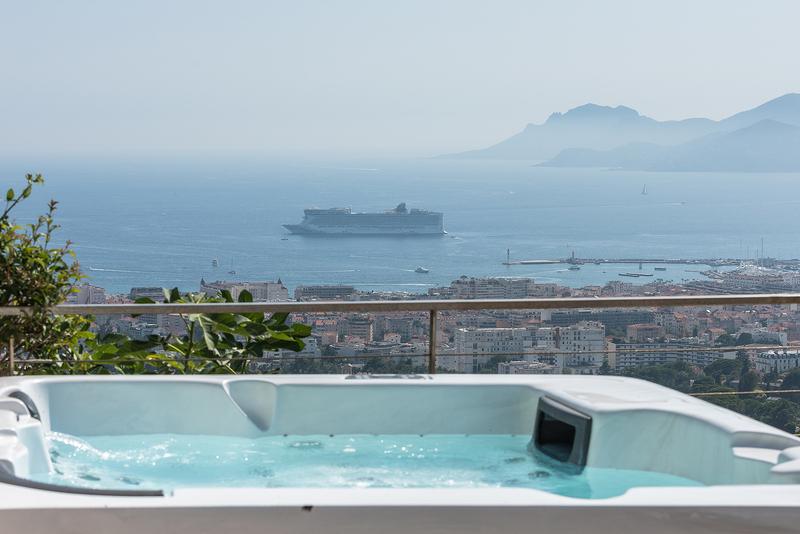 bed 220cm width with large flat screen tv, ensuite bathroom with jacuzzi, italian shower, double sink, toilets, Mr & Mrs dressing, private terrasse with charming summer living room. Bedroom N°5: double bed (160cm) with flat screen tv, sea view and swimming pool access, bathroom with shower, bathtub, double sink & toilets. Bedroom N°6: convertible bed with bathroom & toilets. Staff quarters with double bed (140cm), kitchenette, bathroom with shower, double sink & toilets, terrasse with sea view. 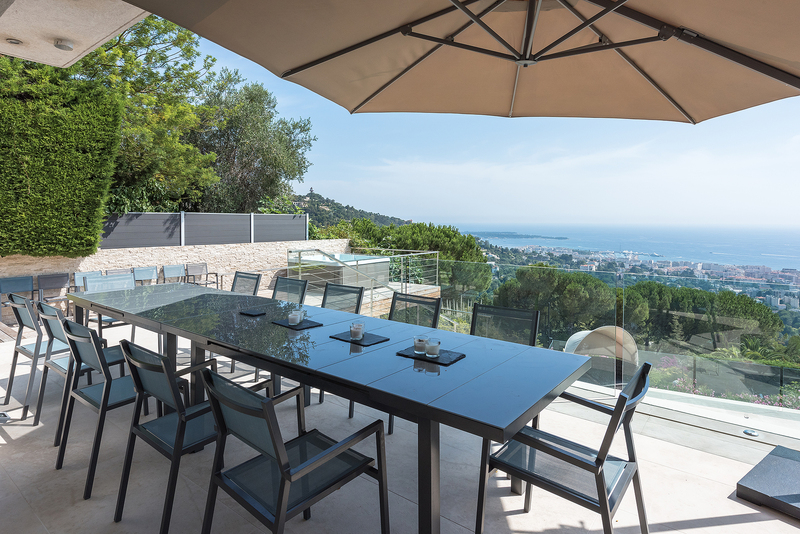 Huge terrasse with barbecue and summer dining area. Jacuzzi, infinity pool (heated) 17m x 6m, outside shower & toilets. Covered terrasse on the swimming pool level with summer living room and dining area.